You select your favorite fruit by iPad, and then the glass color changes the selected fruit color. So a cup of water become a juice!? Unfortunately not. However, probably you’ll feel like drink a fruit juice. 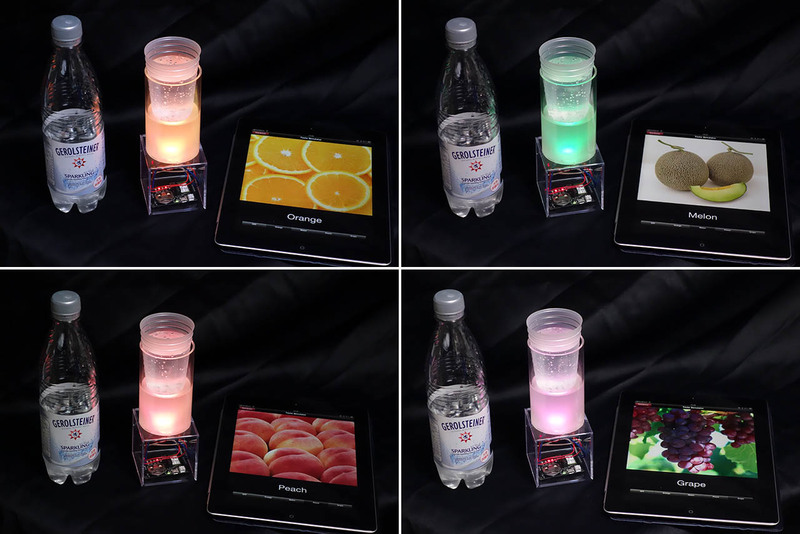 This work used Konashi that is a physical computing toolkit for iOS by Yukai Engineering Inc. 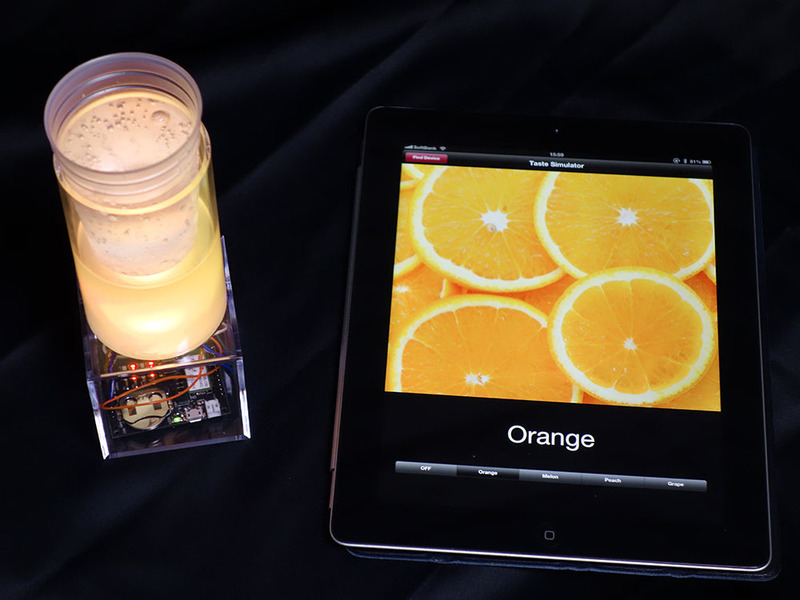 This device enables us to simulate tastes that are orange, melon, peach and grape.